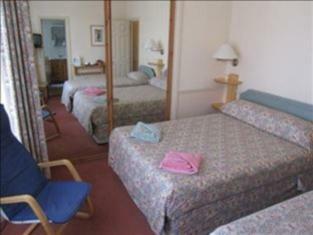 ﻿ Adastral Hotel Brighton & Hove. JIMAT di Agoda.com! Ada soalan mengenai Adastral Hotel? Terletak pada kedudukan yang baik di Hove, Adastral Hotel adalah tempat yang sesuai untuk memulakan lawatan anda di Brighton & Hove. Hanya sejauh , hotel 4-bintang ini boleh diakses dengan mudah dari lapangan terbang. Tidak kurang hebat adalah akses mudah hotel untuk ke pelbagai daya tarikan dan mercu tanda bandar, seperti Kelab Golf West Hove, Kelab Golf Dyke, Kelab Golf Brighton & Hove. Di Adastral Hotel, segala usaha dilakukan untuk membuatkan tetamu berasa selesa. Oleh yang demikian, hotel ini menyediakan perkhidmatan dan kemudahan yang terbaik. Hotel ini menawarkan Wi-Fi percuma semua bilik, fasiliti tetamu kurang upaya, Wi-Fi di tempat awam, tempat letak kereta, bilik keluarga untuk memastikan tetamu menikmati keselesaan yang terbaik. Tetamu boleh memilih dari 19 bilik, semuanya yang akan memberikan suasana ketenangan dan keharmonian. Di samping itu, pihak hotel menawarkan aktiviti rekreasi untuk memastikan anda mempunyai perkara untuk dilakukan sepanjang penginapan anda. Temui gabungan yang menarik antara perkhidmatan profesional dan pelbagai kemudahan yang ada di Adastral Hotel. I had a quick stop-over at the hotel returning early morning to London for my meetings. The hotel was just fine for my basic requirements. Hotel was bit dated could do with a make over but was kept as clean as they could , bedding spotless , just a lovely layed back atmosphere will def go back , great value for your money . Needs sprucing up but the location is great for Hove. Good breakfast and friendly and helpful staff. I honestly couldn't fault the place. Just an all round great place. 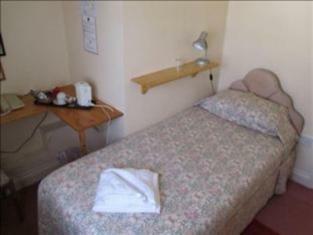 Its not a 4 star hotel, but its a great find B&B that is cheap and in a great location. Bus stop into Brighton centre and Churchill Shopping mall is two mins walk away and costs 2.50. 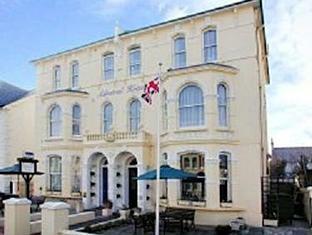 Hove centre is a 5 min walk, seaside is across the road with has a great restaurant and bar. Recommended place to stay, dont waste money on expensive hotels. This place is great. Exceptionally friendly staff and good breakfast. Good value on that day at the price, and a good and ample breakfast to set you up for the day. Cheerful staff. Good value and excellent helpful staff. If you think of this as a b&b instead of a hotel then you're less lightly to be disappointed. PROS: The price is one of the cheapest in the area. The building is located right by the Hove seafront. Train station is approx 15 minute walk. The interior still retains some of its original charm. The 1 member of staff was helpful and did the best he could in the circumstances. CONS: I was unlucky as in the morning the toilet and shower were blocked, so unable to have a shower. The hairdryer had broken (electrical wires hanging out) - didn't need it though as couldn't have a shower!. There was only 1 member of staff on to cover the reception and breakfast area so he was unable to look at the shower until after breakfast service, unfortunately this was too late for me as I had a train to catch. The exterior is very tired looking. RECOMMENDATIONS: Asastral needs to change its name to B&B as the bad reviews are mainly from those expecting a 4 star hotel - which it definitely isn't but as a B&B it is more what you would expect. Need more staff in the morning as 1 person to deal with queries, answer the phone, as well as do the whole breakfast service (take order, serve order, clearing away etc) is not enough. House keeping need to ensure all electrics are in working order and are safe. 2 nights stay, nice & clean. friendly staff. need improvement to entrance which is very drafty and door blows open with the wind. prepaid online booking but staff does not believe even with receipt and made me pay again, later to be refunded. Mycket nöjda med hotellet och läget. Rent, fräscht och väldigt trevlig och vänlig och serviceminden personal.